An appealing way to hang chimes or bells from a vertical surface. 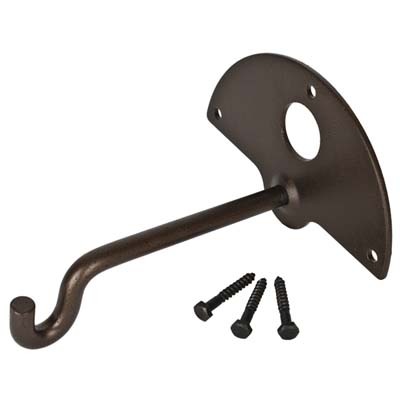 Designed with a handsome and durable antiqued copper finish, this hook is sturdy enough to support many of our largest chimes. Suitable for indoor or outdoor use, the Metalworks Hook will add a note of rustic chic to your front entryway, deck or interior space, displaying your favorite Chime, bell or gong for all to enjoy. This bracket will hold up to approximately 35 pounds. Designed to match the look of our Heroic Windbells, with a handsome and durable antiqued copper finish, this hook is sturdy enough to support many of our largest chimes. This bracket will hold up to approximately 15 pounds.